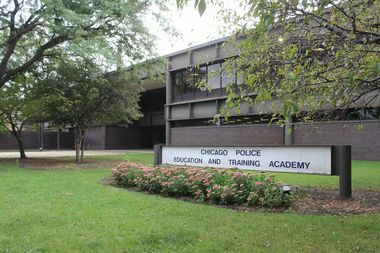 The Chicago Police Academy will likely be empty by 2020, and some want to see it turned into a neighborhood high school. WEST LOOP — Principals of two highly regarded Near West Side schools urged caution at a meeting meant to rally support for a new West Loop high school in the current Chicago Police Academy. Joyce Kenner, who has led the nationally ranked Whitney Young Magnet High School for more than 20 years, said in an email to the school community that she is "vehemently opposed" to the plan and wants to see the high school built elsewhere. On Monday, she said opening Central City High School on the site wedged between Whitney Young and Skinner West Elementary would congest the area with an extra 1,000 students, while Skinner Park leaders said it would further overwhelm the park's facilities used by the two schools. Kenner and Smyth Principal Ronald Whitmore said organizers should take more time to work with the community before pushing through their plan for the police academy building at 1300 W. Jackson Blvd. "If you're going to create a high school, it has to be done right," said Kenner, who leads the CPS selective enrollment school. "And you can't skip steps, because if you do, it's not going to be a viable high school that any of you will want to send your children to." Advocates for the plan, which include the leaders of Connecting4Communities and the West Central Association, say the current neighborhood high school, Wells Community Academy High School is too far or "not a viable option" for elementary schools like Brown, Smyth and Washington Irving. "Turning around a high school is an ungodly amount of work for people who work full time and pay high property taxes," said Dennis O'Neill, executive director of Connecting4Communities. "And that school is not anywhere near this neighborhood. The kids can't walk to it." The two organizations invited neighbors to their first meeting on the revised plans, which are rooted in a 2013 proposal to open Central City High School in the Roosevelt Square redevelopment or the old Jones College Prep building, which remained part of the Jones campus after it expanded later that year. But facing significant opposition Monday, organizers said they're happy to consider alternative sites and wanted the police academy proposal to jump-start efforts to get the high school built, regardless of where it ends up. "This is an impetus to move forward because that site is available and we need a high school," O'Neill said. "We need to let the city know the community wants a high school, and they want guaranteed access to it." And in fact, the majority of neighbors who spoke were in favor of adding a high-quality neighborhood high school to the area, which has experienced a boom in population and development. The overarching idea for Central City is that it would automatically accept eighth grade graduates from neighborhood and magnet elementary schools in the area, including Skinner West, Brown, Smyth, Andrew Jackson, STEM Magnet Academy, Galileo Math and Science Academy, Washington Irving and Suder Montessori. If the school ends up in the police academy building, it would not open for about five years. The academy is set to vacate the two-floor building at 1300 W. Jackson Blvd. in 2020 and move into a $95 million training facility for Chicago police and fire recruits in Garfield Park. Renovating the building for the school would take time, as well. But opposing opinions on what should be done with the academy building wrought tension at the meeting, which organizers said will be the first of many as they continue to hammer out a proposal to take to the city. Some said the plan for Central City High School was being rushed through, while proponents said families are moving away at a rate urgent enough to merit swift action. Kenner expressed concern that she and other local principals hadn't been part of the conversation ahead of Monday's meeting, while Whitmore said there was a racial component to the issue that must be given thorough consideration. "For the last nine years, [Smyth] has really tried to change the perception of a community school that most of you would never send your children to because of the socioeconomics and the race that the kids I serve are from," Whitmore said. "There are some deep-seeded issues that we have to be honest enough to deal with." Whitmore was not alone; some questioned why no one was working to improve the existing Wells High School rather than build anew. "Why are we replicating resources?" asked West Loop resident and True West Loop founder Moshe Tamssot. "It's not because we're shortsighted, it's because we're trying to keep everything separate. Your parents failed you because you're having to make a decision [now] because they didn't tackle segregation, and you're doing your kids a disservice by not tackling segregation." Currently, Wells High School is the nearest neighborhood high school. Located at 936 N. Ashland Ave. in West Town, the Level 2+ school has just over 400 students, 92 percent of which come from low-income households. The school is underutilized, with its student body occupying just one-third of the building, according to a 2016 Chicago Public Schools report. 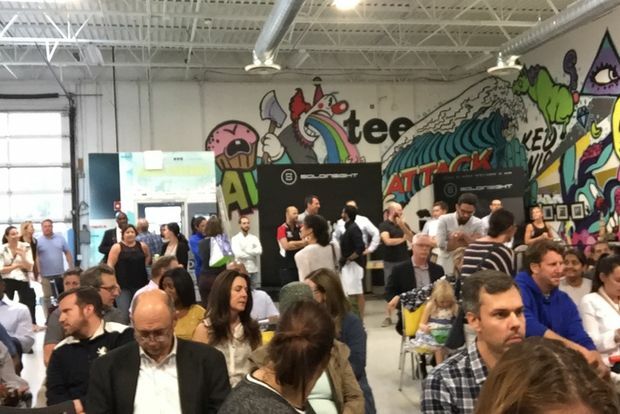 "If there are viable options in the area, why not work on making those better?" asked one neighbor. "Up until now you haven't paid any attention to the high school, but now your kid is ready for high school, you want to build a new one." 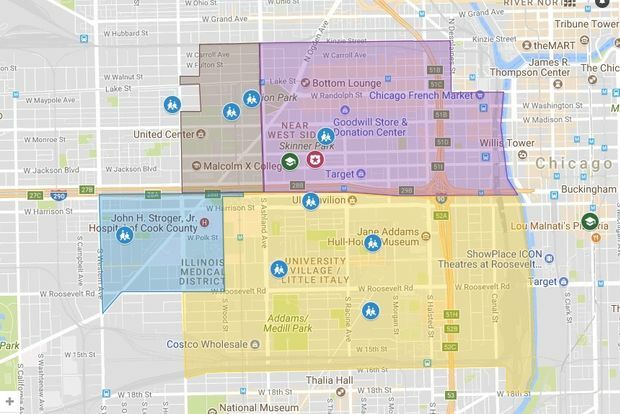 One option floated would be to allow Whitney Young — whose notable alumni include former First Lady Michelle Obama, rapper Vic Mensa and film directors Lilly and Lana Wachowski — to expand on the police academy site, but offer a neighborhood option in exchange. That would be a decision Kenner said was not up to her, but "might be possible." "Anything can be put on the table," she said of the idea. She, along with other opponents, said opening a 1,000-student high school at 1300 W. Jackson Blvd. would overwhelm the street, nearby public transit and Skinner Park, which is already leased out during the school year for physical education and sports practice from multiple schools. As it is, the park is 165 percent over capacity, said May Toy, president of the Skinner Park Advisory Council. After the city gave much of the park land and its former fieldhouse to Whitney Young, Skinner Park is half the size it used to be and is confined to a couple square blocks, she said. "Skinner Park is stretched to its limits," Toy said of the city's second-oldest park. "It's a constant struggle for us to serve the entire community." May suggested alternative sites like the Addams/Medill Park that is set to get a $25 million recreation center or the Hope Learning Academy, which is a contract school. Over the past 20 years, the target area has seen a drastic spike in population, but census data shows families with young children leave the area in search of better school networks, O'Neill said. The area is also slated to get thousands of new homes and residents under plans to redevelop the ABLA public housing project as mixed income housing.